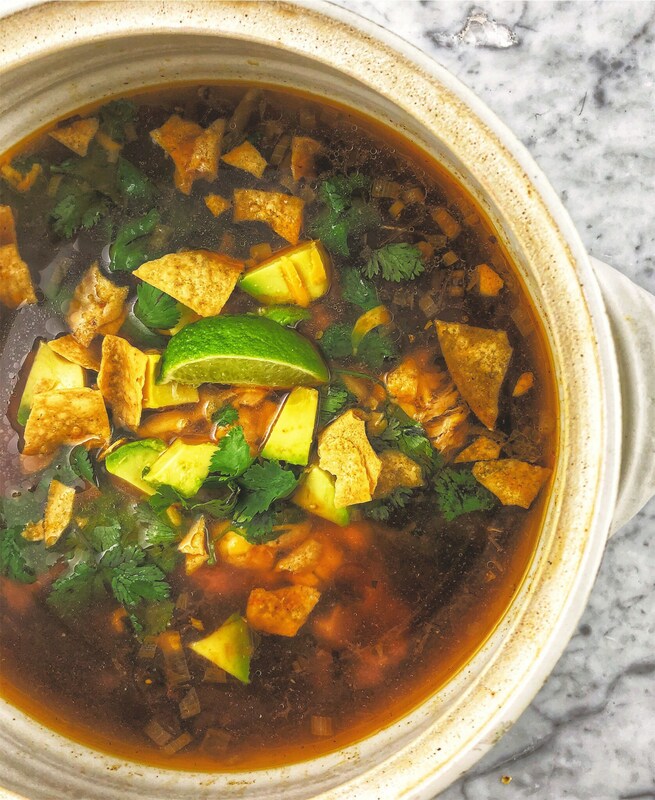 Who doesn’t LOVE chicken tortilla soup! This soup is a hit with everyone.. This could be served as a meal or accompanied to a great Mexican dish.. There is something about chicken soup simmering on the stove that sooths the soul.. From the creamy hominy to the smokey poblano chili (There is no heat that comes from this chili so if you want to add jalapeños or your own favorite hot chili you can do that too) that adds such great flavor and color. This one is a must, traditional and yummy!! step 1- If using already prepared rotisserie chicken breasts: heat oil in a large pot and add rotisserie chicken breasts- no need to add salt and pepper if its already seasoned, just add the cumin and chili powder.